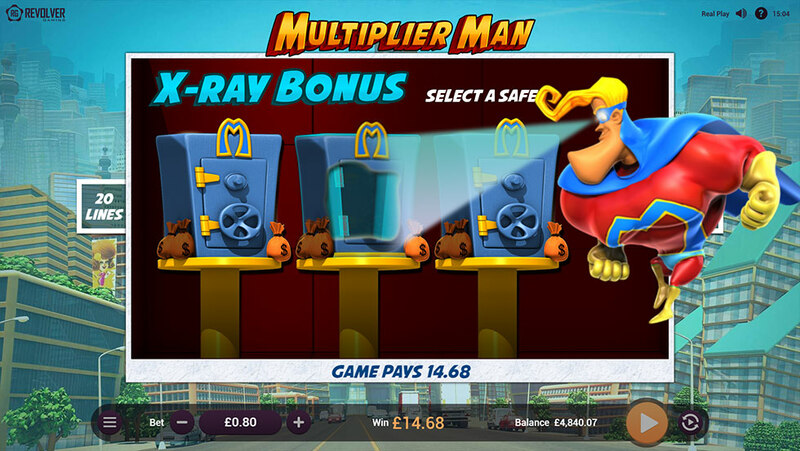 Multiplier Man™ | Revolver Gaming - 3D Slots & Social Casino game creators! 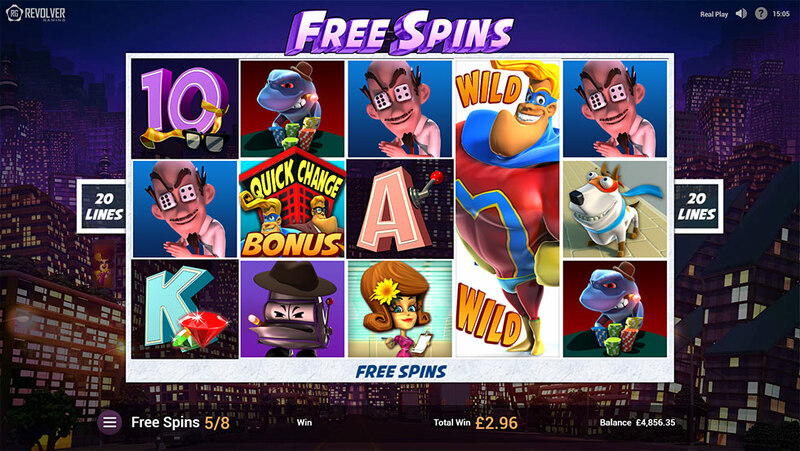 A superhero themed mobile video slot in the tradition of the great comic heroes of the 1940s and 50s, but modernised in a fresh new 3D style. 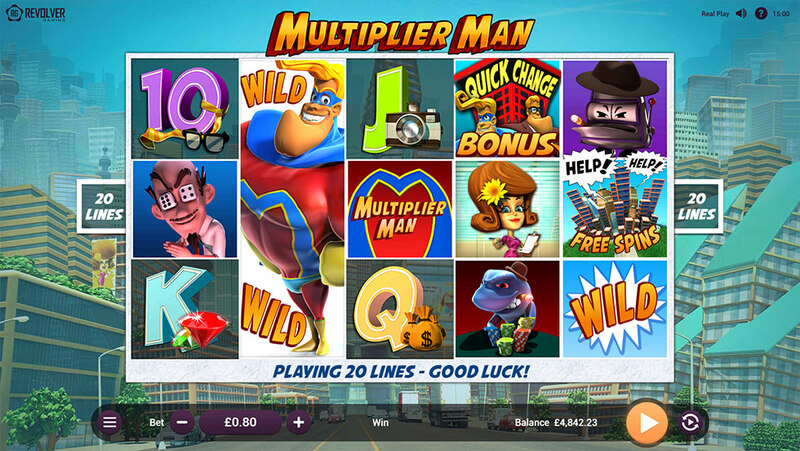 Its hero, “Multiplier Man,” is the star in this absurdist spoof of the genre, and brings a character that advocates for the player to help him win big! Well intentioned, good looking, silly and brave; he will do anything to protect and increase the players’ bank. He has a regular job as a reporter, a lady friend, a sidekick dog and a host of villains who find him downright annoying. 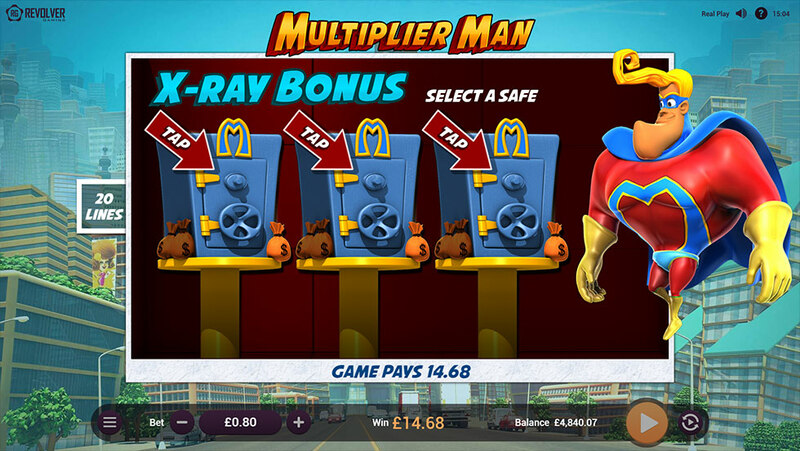 Multiplier Man™ presents a better mobile experience by increasing base game activity that sustains the player in the base game, instead of relying on the 2nd screen bonus that may not be triggered in the shorter mobile play sessions. 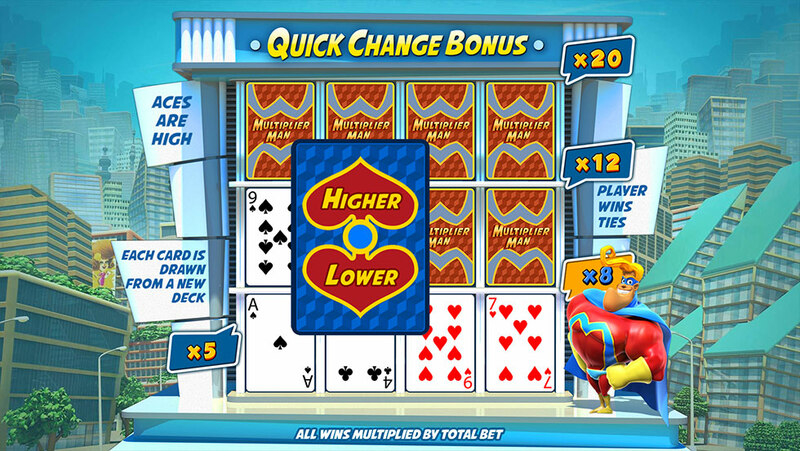 By empowering the base game with more, small, multiplier-based features, the game relies less on the bonus for the RTP and will increase the play time for the mobile market. This makes the base game play very compelling and lucrative for the players! Fun is in the house!